Great to re read this classic but I have to say that the background music and additional audio tracks are a great distraction. I have listened to hundreds of audio books...some good...some great in their presentation and reading. This is one of the most difficult to listen too and stay focussed on the story. Unfortunate since this is a timeless classic from Asimov. Where does Second Foundation rank among all the audiobooks you’ve listened to so far? 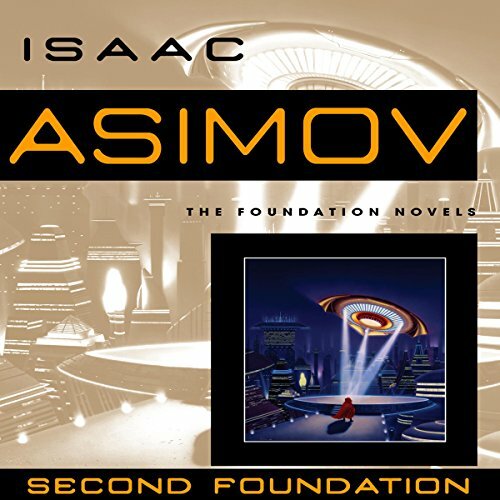 Isaac Asimov's "Second Foundation", for the sci fi fan i am, floats near the top of my list for all audiobooks thus far, it is intriguing, intelligent, believable, spoke with excellence by Scott Brick and exceeded expectations. What other book might you compare Second Foundation to and why? 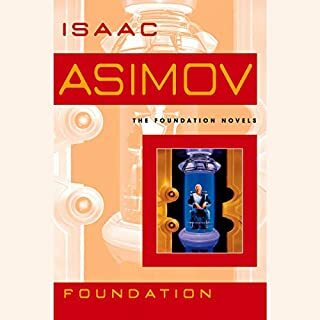 Second Foundation, as all of Asimov's, in this collection, almost stands alone in this genre; but, if had to compare a book of such vast fictional intelligence i could easily put this in the same shelf as "star wars" and "star trek"...i only wish they would do a current day mini-series to show off the brilliance of the author. Although lacking an enormous pool to choose from, Scott Brick, at this point, is....by far...my favorite! He is astronomically brilliant in his disposition of ALL characters, he is grammatically perfect in all facets of speech, punctuations, poetic pauses and character purpose and appeal. It is difficult to imagine any other doing a novel as well. I often filter for Scott Brick read books to find new! He is excellent! Sci fi fans are doing a disservice to themselves if they have not read this epic classic....I highly recommend the series! the entire trilogy, like most of his works, is an amazing story but the narration does not do it justice. it is worth reading this one. This is an amazing story. The best one so far in the series. The plot is a little more complicated than in the previous ones, the characters and the events much more exciting. This is third book of trilogy (Foundation, Foundation and Empire, Second Foundation). 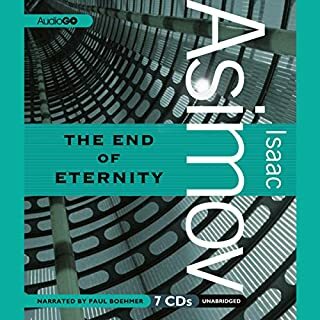 Of course, it is culmination point and Issaac Asimov is a master of suspense and unbelievable twists. I loved this book in childhood and I still love it. Asimov's Foundation series, based on the ideas from the "Rise and Fall of the Roman Empire," starts with a 12,000 year-old Galactic Empire. The great Hari Selden has mathematically proven that the Empire will soon fall and a 30-millennium Dark Age will follow, but Selden's Foundation can shorten that time by a factor of 30. In Second Foundation, the Mule has conquered the original Foundation and much of the galaxy, but the secretive Second Foundation---oriented to mental science where the first Foundation is oriented to physical sciences---lurks out there and is interfering with the Mule's plans for a new empire. The Mule attempts to track down the Second Foundation. After the Mule's death, the original Foundation needs the Second Foundation's help in getting the Selden plan back on track. The Foundation trilogy is a bit dry, and the characters are quite one-dimensional and cartoonish. It may be more enjoyable if you think of it as a history book from the distant future rather than an adventure story. The envisioned technology was typical for the 1940's (computing your course across the galaxy with a slide-rule), but seems rather quaint now. One other complaint: Asimov got pretty wordy in places, to the detriment of the story. I like Scott Brick as a narrator and he does a pretty good job with this. This series lays the FOUNDATION for almost all SciFi after it. Definitely read them all. the narrator absolutely nails the reading providing just enough distinction between voices to make it easy to understand. as to the story, it's book 3 in the series and it's by Asimov. it's as close to perfection as sci fi gets. For me this trilogy peaked in the middle with 'Foundation and Empire', but this book is still great and well worth listening to if you have listened/read the others. 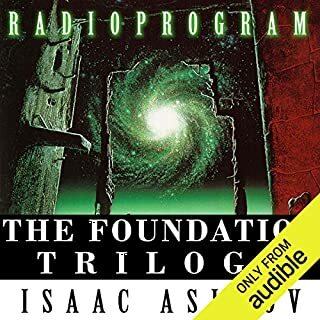 The conclusion of this original Foundation trilogy is satisfactory, although it is clear that the story can continue and does in the form of the Extended Foundation series which are unfortunately not available on Audible and which do not seem to have been produced by Random House. 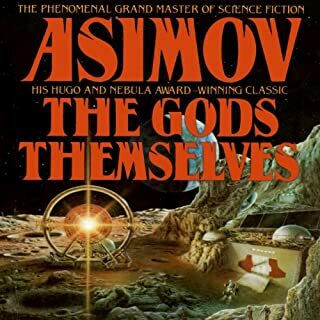 I read this trilogy by Asimov as a teenager and 40 years on it is still one of my favourites. Great book. Very good reader. Fantastic series. I initially thought that most of the ideas would be outdated by now, but I was wrong. The story is kept on such a high level that it becomes timeless. Dealing with ideals, intrigue and also showing the mindset of its time. I was positively surprised to see a strong female character in one of the chapters (again considering time period when the books where written). Scott Brick is great and Asimov is a genius. Isaac teaches us how to create and write science fiction. Amazing! 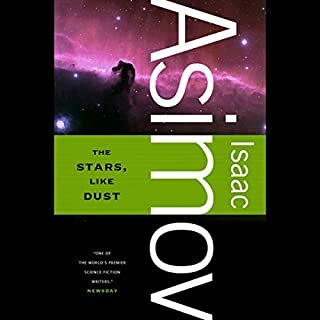 This book brings the events and questions from the second book together in a neat ending, whilst still leaving the options open for the universe to be explored in other works (which they are). Brick brings continuity to those exploring the entire trilogy on audio book and his performance is excellent as always. His pacing and tone makes the book easy to listen to and there is enough diversity in his voicing to understand where the conversation has shifted between characters and narrative. A recommended listen and a solid close to the trilogy. what a journey. full of twists and intrigue. keeps you constantly hooked and guides you masterfully. Don't hesitate and get it. Scott Brick is an excellent reader particularly suited to the grandiose style of Asimov's. His delivery is varied and interesting. By the time you have travelled this far through the Foundation you have to see it through to Stars End. Great story, beautifully read and no production editing problems. Brilliant book! Worth a listen. A classic. 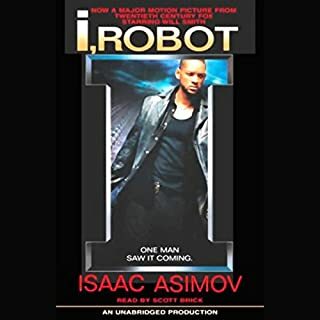 Isaac Asimov makes scifi brilliant to listen to. Scott Brick has a good performance but he battles to distinguish between speakers. There is a singular error at the end where Scott Brick says "Trantor" instead of "Terminus"
Whatever I say could add nothing to the praise already bestowed on this work, no - my words would not do justice.. I loved the end and how it lays down soooo many thoughts. Best written book of this series. Fantastic. A fitting end to the series. Have loved every moment of the Foundation Trilogy and found this book to be a fitting end to the series. All the intricacy, intelligence, foresight, and fantastically written characters which you've come to expect from Asimov. You will absolutely not be disappointed by this. The Foundation books are a towering master work of Sci Fi from a master of the genre. You owe it to yourself to read them. Very enjoyable and very clever. I can safely say as I listened to this audio book that there was not a moment that I was lost to another world within my imagination. Scott Brick did a wonderful performance on the recording. I would recommend this book for anyone who enjoys an ageless story, ahead of its time.